I have wanted a matte nail polish for quite a while after seeing a picture of black matte nails on Pinterest and falling in love. I was so excited to receive this polish from Born Pretty as I originally thought that you'd have to buy each colour in a matte form if you wanted that effect, but this particular one is just a top coat, allowing you to change any nail colour to matte! It's amazingly priced at only $3.39 (about £2.07) but not only that, they have free worldwide shipping AND you can get an extra 10% off using my code XTSQ10 at checkout! 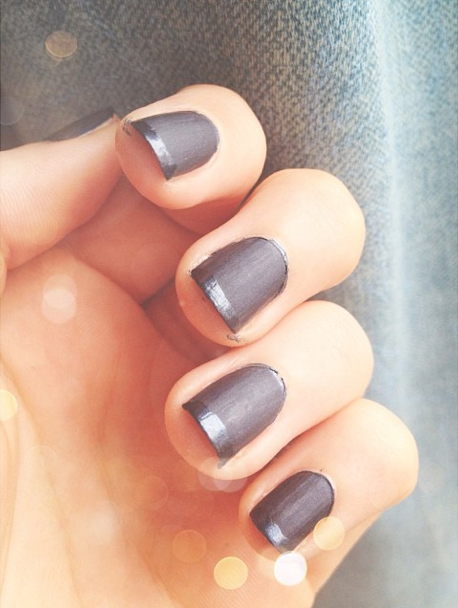 Below is a couple of ideas showing how I've used my matte polish so far, hope you like! 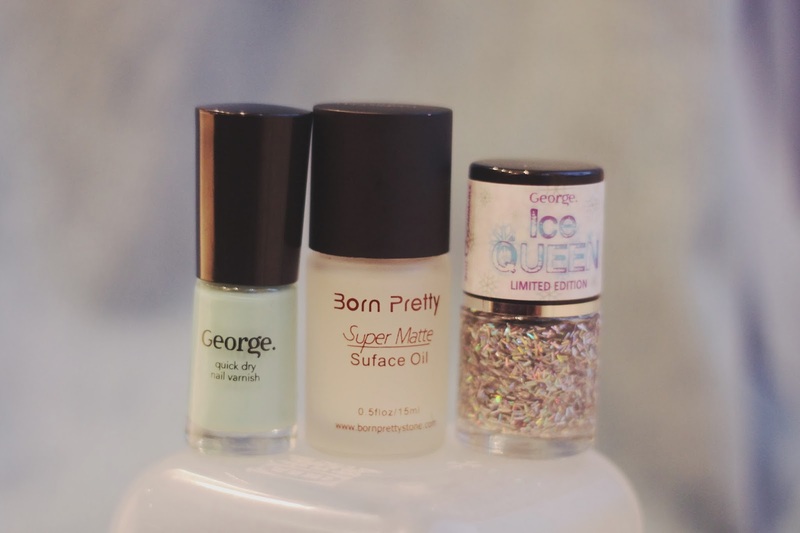 The two polishes I got from George (yes that is George at Asda!) are probably two of my new favourites! The Ice Queen one is such a nice add on to make any polish look Christmassy, and Smarty Pants is so quick drying and lasts for ages! So pretty, I would of never guessed they were from George, xoxo. A M A Z I N G BLOG! followed!!! & i Love these nails! Keep it up! i love reading it! Love the first one, very cute. That blue nail varnish from Asda is gorgeous! I really want to try the Black Matte out for myself so will have to look into Born Pretty!